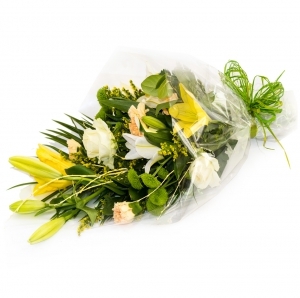 An English speaking florist in Limassol delivering fresh flowers daily in Limassol and surrounding areas. We always deliver gorgeous fresh flowers, our service is our reputation and we believe we provide the best flower delivery service for miles around! 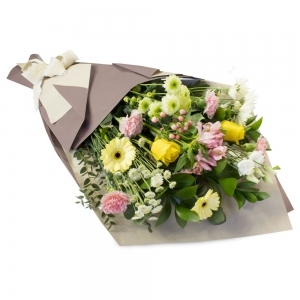 Visit our shop or order online via our pages at Direct2florist to ensure first class service. We look forward to hearing from you! Quite expensive but all seem to be when sending flowers abroad. Brilliant florist. Never fails to deliver beautiful flowers on time. Communication exceptional. Delivery was not what was on the picture. 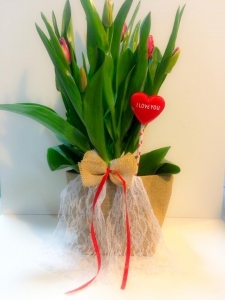 In the picture there were roses in nice basket, but delivered where tulips in simple basket with some chocolates, though I didn’t ask for chocolates. Also delivery was very late. I specifically asked to deliver by noon and my order was a day before so there was enough time to prepare the flowers and deliver them as requested. I will be looking next time other flower online service. Fantastic with a very jolly delivery man. The receiver of the flowers was very happy, the flowers were nice and loads of them and they were delivered on the right day. Very pleased . Back to top form. Thank you Samantha&rsquo;s for a beautiful Christmas arrangement for my parents&rsquo; home. It lasted well into January. Third time I have used Samantha&rsquo;s Flowers. Great service. Beautiful flowers. Beautiful gift to my sister, thanks. Was surprised that I was charged a Foreign currency card purchase fee of 50p + Foreign currency card purchase fee of &pound;1.50 on top of the original price. You should have told me that fact before I paid the full price of &pound;50 odd pounds. Great service. Will use again! Delivery was prompt and the flowers exceeded expectations - fantastic! <br/>I order from Samantha's Flower Shop every year, via Direct2Florist, and will continue to do so.Thank you. Lovely bouquet and prompt delivery! Very pleased, so thank you. The flowers were incredible. They were a gift and they were better than I could have hoped. Will be back for sure. Thanks. 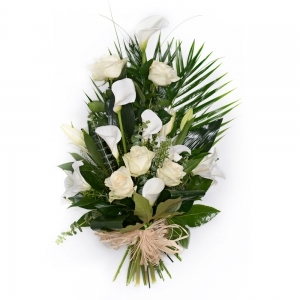 They did not notified me the flowers were delivered, i sent fb message, i called them on their cell, i sent whatsapp message and email all together and only after that they replied and confirmed the delivery.... the recepient has sent me the photo of the flowers and it DOES NOT correspond to the appearence of the ordered flowers. The delivered flowers looks way more poor than the offered flowers! The flowers and card were excellent. Highly recommend Samantha's Flower Shop! Lovely flowers and really professional. Excellent service and quality. Time saving and efficient. Fantastic bouquet of flowers with a lovely (full-size not the usual business-card size) card which exceeded my expectations and which my Mum loves. The flowers which were delivered looked NOTHING like the ones that I had ordered online. The arrangement looked like a child had put it together- AWFUL! have sent an email to the flower shop but have had no response yet. Thank you for hand writing the note! Wonderful touch! Thank you very much flowers were lovely. Ordered this from England to my mother in Cyprus for Mothers Day. 10/10, will be using you again! Lovely flowers, always as advertised. My mum was delighted with her bouquet (chosen by Samatha&rsquo;s Flower Shop). I will certainly be using you again. Thank you! Prompt delivery, and a great flower arrangement. Thank you so much for the flowers! My wife was delighted. I am glad I let your creativity go. The flowers delivered looked so much better in reality than what was on the website! For some years now I am able to send an awesome birthday gift to a dear person for her birthday even from miles away! Thank you for this! Beautiful bouquet and very speed turnaround. Impressed! 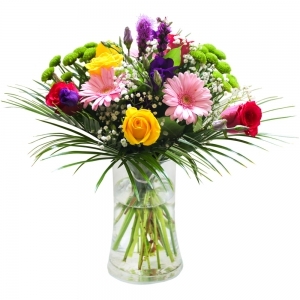 Each time we have used your service, the recipients have been very pleased with the floral arrangements. Thank you. Very well presented, on time, arrangement as depicted on the picture on the site. For the first time in a number of years, a &quot;good&quot; rather than an excellent. I ordered a basket arrangement. The flowers were not in a basket. They were appreciated and they seem nice enough in the photo. BUT they were not in a basket. Samantha&rsquo;s Flower Shop provide an excellent service. They are professional, polite and quick to deliver when the order is placed. 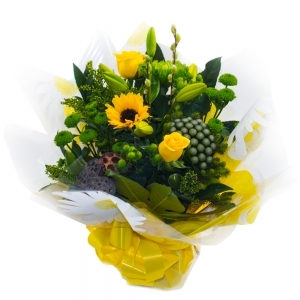 Great selection of flowers and with same day delivery available. Great customer service. All good. Beautiful flowers delivered on time. Wife happy => customer happy. Thank you! My sister in Cyprus loved the bouquet and it was Large as I ordered it! 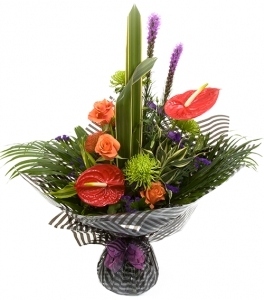 A beautiful arrangement that the recipient enjoyed. Excellent and amazing. Quick delivery and very good service. Thank you! I ordered the flowers in the UK from the website and chose an arrangement I liked. I cannot say whether those actual flowers arrived, as I didn't see them. The recipient ,in Cyprus, loved them and they arrived on time. Thank you. Brilliant service! Thank you so much. Beautiful bouquet delivered spot on schedule. Thank you. Terrific flowers and arrived in good time. Very quick and nice service. Flowers are beautiful! Beautiful flowers, delivered on time again. Will use again. My surprise Mother's day Orchid plant, soft cuddly toy and single rose were absolutely delightedly received by my mother, who has a home there as well as UK. They were delivered by a lovely man and lady who were very nice to my mother and made her feel really special. She sent me a photo of the gifts which were Exactly as shown on the website! Very Well Done Samantha's flower shop. Good Service, Great prices, Value for money, I will be recommending you to my family and friends and definitely will be availing myself of your sterling services again. Thank you! 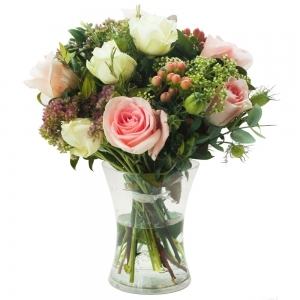 Lovely bouquet with fresh flowers! Very good &amp; fast service. I ordered the flowers in the morning and were delivered by 11am. Wife pleased with the flowers. Display delivered on time and display looks stunning. Thank you! Just perfect. 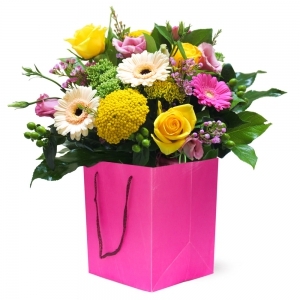 Delivery punctual and very nice flowers. Hassle free order and quick delivery. Ordered in the evening and flowers were delivered next day early afternoon. Flowers were nice as expected and similar to picture on site. I will definitely use them again. 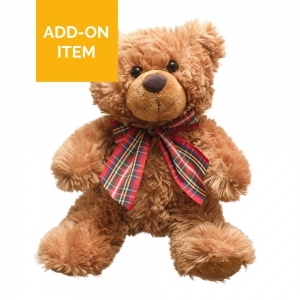 Seamless order and payment procedure. Beautiful flowers. Everything was great. The only thing that was slightly inconvenient is that service did not allow for delivery on Sunday, (when I actually needed them), so I had to get a delivery on Saturday afternoon. I was sent a photograph of the flowers delivered and would not hesitate to recommend Samantha's Flower Shop, the flowers were really beautiful. The arrangement was nice,but it wasn't quite what i ordered. <br/>The box was rectangular and cream-colored,not sqare and pink as in the photos. <br/>Delivery was prompt,so a thimbs up for that. A well presented, beautiful bouquet delivered on time. Thank you for helping make my wifes birthday so special. My daughter's first delivery on moving into new home. Perfect timing! Brilliant fast service, made the recipient very happy, thank you! The flowers arrived on time and having received a picture of them sent from Cyprus, we are very pleased with what was delivered. My friend was absolutely delighted with her flowers - they were delivered on time and very fresh. I am so pleased as it was a special birthday so thank you very much for a brilliant service and product. The recipient of the bouquet was extremely pleased with the arrangement. Excellent service and great way to sent flowers. Thanks Samantha's Flower Shop for beautiful arrangement. Flowers were lovely and delivered on time. The words in the card were accurate. Lovely flowers and easy delivery, thank you very much! I used the service twice this year and the senders were absolutely delighted! Thank you! the flowers were nothinf like what they looked like on the imagine when I ordered them. Thanks, good job. <br/>Actually I did order purple bouquet, but that one you made was also nice. The recipient was very happy with the flowers, thank you! My daughter and granddaughter said it was beautiful bouquet. Thank you. Thank you, Samantha's. You delivered a wonderful Christmas table arrangement to my parents' house that made them very happy indeed. My mum couldn't stop raving about how beautiful the arrangement was and my dad was choked to have received something so lovely. He'd only ever seen similar in hotel lobbies before. Thanks again, you helped to make the distance between London and Limassol seem a whole lot smaller this Christmas. We'll certainly be using you again. And again. Beautiful arrangement. Arrived in perfect time. quick delivery execution, thank you. Super service - the recipient was delighted with the flowers. excellent products etc.. we will use you again and again, . thankyou. can't believe how quickly my order was handled .... great service and the flowers were beautiful ! Good service, second time have used. Lovely bouquet delivered to my mother, just what we asked for. Thank you, would recommend. An excellent service my daughter was delighted with the flowers, and they were delivered when arranged good communication . Fantastic concept brilliantly delivered. Easy to use, amazing service considering the distance and the flowers arrived before i had even woke up! Would definitely use you again as my girlfriend was ecstatic and extremely surprised that it was even possible. Delivered promptly without any problems. Would highly recommend and use service again if needed. Excellent service, beautiful flowers, delivered on time. My sister-in-law sent me a photo of the flowers which were delivered and they were excellent. Very quick service and good quality. Thank you. It turns out my mother was unexpectedly in hospital on the day of delivery. Samantha flowers were very accommodating and rearranged delivery directly with my mother. Very happy thank you for a great service and product, apparently the flowers were beautiful and the chocolates yummy! 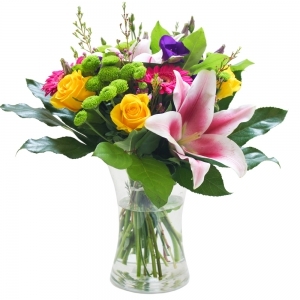 Prompt delivery with a lovely and fresh arrangement of flowers. I will certainly use your services again. Excellent products and service !!! Excellent service. Shop phoned me in Australia when there was an issue with finding the person receving flowers as they were not at home when they tried to deliver. Fabulous outcome. Lovely bouquet. Prompt delivery as promised. Not my first order, will not be my last. Very responsive and helpful. Went extra mile to ensure everything is in order. 5 - for the operative order fulfillment and pleasure, my relatives received. I have not seen him personally, so I can not give the highest rating. I have enjoyed your service! 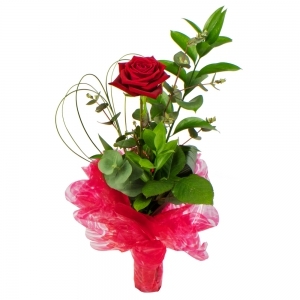 Excellent quality of flowers and absolutely fresh. 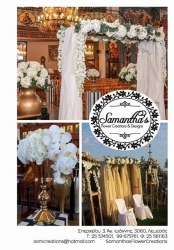 I am glad I choose Samantha's flower shop and I will definately choose it again. Great delivery service. Actual flowers delivered exceeded my expectations .Delivery was punctual. Delivery person was very polite and well dressed. My friend seems to like the flowers I sent to her. Well done Samantha, for providing such a wonderful service. I will definitely use you again. The recipient said flowers were beautiful. beautiful flowers, and delivered right on time. Samantha as usual is great ! Obviously I didn't see the flowers, but I was told they were lovely and very Christmassy. The florist also made a lot of effort to ensure the lowers got to the right place when there was an error in the address. the flowers were lovely according to the recipient. obviously I didn't see the flowers, but my daughter was so pleased with them, she sent me photographs via my computer. . beautiful. ! Excellent. Mother was v pleased! Beautiful arrangement that arrived on time. My granddaughter really liked the basket of flowers. She was happy. Neither do I. Thank you. It is my third time using Samatha's Flower shop, again the same excellent service as all previous times. Definitely recommend this. Prompt service, polite people, thank you! Mum said they were the best flowers she has had. The recipient was very pleased with her gift. Although I didn't see the flowers I was told they were lovely and they were delivered on time. Excellent communication and superb service !!! Beautiful flowers and excellent service. My mum was really pleased with her bouquet that I ordered in the UK and had some lovely advice from the florist. Will definitely be using again. Thank you! On time, as promised. Good service. Prompt delivery and lovely card but must admit final product did differ from what shown. Not worse by any means I just preferred the colour theme in the one shown rather than the one delivered. Overall decent and good service. What a fantastic service! 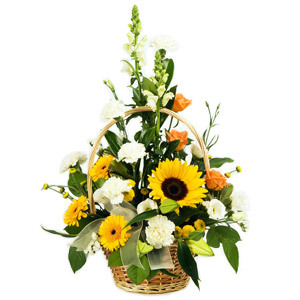 So easy to use your web site, quick, and the flowers were delivered on time. Receiving your acknowledgement of delivery is also excellent. Will definitely use you again. Very beautiful flowers. Will order again. Thanks! Excellent flowers, vibrant colours and very fresh. My Mom was so delighted! Thank you! Xtremely fast and awesome! Def will use again! Very good service !! Well done !! Perfect! The plant I picked was delivered on time, it looked wonderful, and wasn't overpriced. Can't descibe how pleased I am to have found a reliable flower delivery service in Cyprus! Thank you very much! The flowers turned out to be even more beautiful and bigger than on the picture. The delivery was on time. Thank you for such a great job! My friend absolutely adored the flowers - thank you do much for the service and fabulousness!! Delivered exactly on time for Mother's 89th birthday. Flowers excellent. My mother loved the bouqet delivered but was unimpressed that even after giving direction on the telephone she had to twice drive out to try to meet the delivery man when he could not find the house, and on her birthday. Best choice ever. Lovely for everything this lady does. Great flowers and good service! Excellent service, my friend was at a hospital appt, samantha rang my house in UK and made me aware the flowers would be delivered later that day, excellent!!! Good service and a lovely hand written card. Thank you. Excellent service! Definitely recommend this florist. Thanks for making my mothers day flowers- she was really pleased. Brilliant! You managed to deliver on a Sunday and in the morning.....my mother loves the flowers. It helps so much to be able to rely a good service. Thanks! Excellent service. Flowers were personally delivered to make a deadline for a funeral. Couldn't have been better. Thanks a lot! Flowers were beautiful, well worth the money. Lovely lady and defo would use them again. excellent service, flowers were delivered on time,good quality as well. flower shop confirmed delivery time prior to delivery. i will use again. Again very nice bouquet delivered on time. Very good service and I really recommend you this florist. Very very quick delivery and excellent customer service. Worked with the florist throughout any problems and wasn't talked to and as just another customer.. It was very friendly and personal and that would definitely have me shopping here agains and again in times to come. The flowers were great and the chocolates as well. They were shipped nicely and delivered very well.. just looked really great. Thankyou for such good service. I ordered a bouquet for my friends 60th birthday and they were delivered as promised on the same day. Much appreciated. Great! 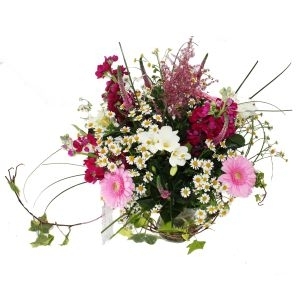 Easy to order, reasonable prices and my mother loved the flowers. Same day delivery, reliable service, will use again. great service. professional. I would definitely use their service again.thank you very much. Delivery on time and buquet really nice and romantic. Perfect service. Perfect! Thanks Samantha! Will visit again! Delivery was on schedule. The flowers were nice. Will order again. Good service and nice flowers. Chocolates could be better (quality and amount). It was nice to warking with Samantha's Flower Shop.Very plesant and EXCELLENT quolity services.Thanks a lot.100000000 THANK YOU. Incredibly quick! My children cannot see their Yia Yia for her birthday, and this was a wonderful way to reach out to her. It really made her day, and ours! Lovely Flowers & great service 2 years running! Would deffinately recommend and will be using you again. Thank You. Exceptionally friendly and helpful service. Made a great effort to try to satisfy our wishes. Well done! On the day of the naval yard explosion I received a call telling me that they would not be able to deliver. My friend received the flowers the next day, and told me that they were lovely. Thank you for great service under very difficult conditions. 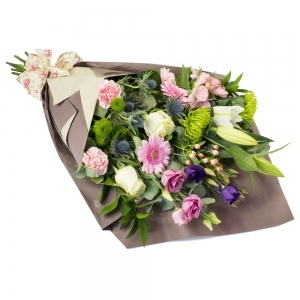 The flowers that I have ordered have not been delivered yet due to you being unable to find a florist that could deliver on the day I requested i.e Saturday the new date is hopefully Tuesday which is not ideal but Due to the timescale left I had no choice. 2nd time used and great results. Mum very pleased too and thats the manin thing. Will definatly use again, added to main contacts for easy use!! Well done. My Granny loved the flowers and card. Perfect! Great service. Flowers delivered as instructed, beautiful and fresh. Highly recomended. Excellent quality of service and excellent work with the decorations. Amazing Mother's day flowers. My Mothers was so happy with the decorations. Excellent service. Delivery as expected. Thanks for making this a special day for the Birthday girl... I will recommend this service to other friends and will use it again.. This was the first time we had ordered flowers from this florist . 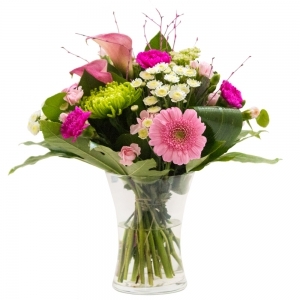 I had used interflora once before and was looking for a more personal and affordable service. Excellant service, not only did the florist contact me in the UK to say they were having problems contacting my Mum, the florist hand delivered my flowers. This was due to my parents going out in the morning and the delivery drivers had finished their shifts This was for Mothers Day, I had asked as a special request for my Mum to have a big hug as well, this actually happened ! I can't thank Samantha's Flower Shop enough fot the lovely flowers and outstanding service. I will use this shop again. Thank you. Beautiful flowers, really pleased and will definately use this florist again. Thank you for making my mum's day ! My mams flowers arrived and were delivered on time and looking at the pictures she took and her comments on them,the are absolutely lovely.We are all really happy with the flowers,the delivery and the service.Will definately use again.Thankyou. Samantha, thank you for such a prompt response to our order query. Considering the lateness of the order and the time difference with UK, the flowers were delivered same day - that is great Customer Service! Great flowers and worked to accommodate unique requests. thank you! valentines delivery made perfect! Excellent prompt service. Flowers were delivered to our friends in Cyprus within 2 hours of placing order in U.K. Could not hope to expect this superb service back home. Our friends were delighted with the wonderful flowers too. This is not the first time I have used this company and it certainly won't be the last. Well done. Prompt delivery on the day it was ordered. The recipient was extremely pleased with the flowers.Many thanks. I would like to thank the florist for the amazing work on sending the flowers on time. I would like to thank the florist for the excellent work on picking up an amazing Birthday Card for my mother. I will be happy to place another order again soon. A thoroughly excellent service. Beautiful flowers delivered swiftly. Thankyou so much. Arrived when ordered and enjoyed by recipient. Very prompt delivery - within three hours of placing the order. The recipient was overjoyed with the flowers. No doubts again. Samantha's Flower Shop means total "Quality" ...no more words needed... Thanks a lot Samantha for your disponibility and kindness. Thanks so much for sending the lovely flowers to my Aunt for her 75th birthday, she said the flowers were lovely they even had tiny lady birds on the leaves and she was very surprised they came with a card and a vase. Its those extra little touches that make you stand out above the rest!! Thanks again. Very quick same day delivery. Quality flowers and display. Will definitely use again. Website easy to use. Used the same day international service.Very quick service and flowers were beautiful (I'm told). One very happy Grandmother! was nice and on time and fresh flowers, thanks! The delivery was on time and the message was translated in Greek beautifully; but the flowers were less than what the picture was showing (only three daisies and some greenery). Absolutely beautiful and contemporary display which my mother was delighted with. Also impeccable service. Love the feedback and the speedy delivery. wonderful florist will definetely recommend to anyone and everyone. Fast service, excellent communication. Many thanks. Many thanks, Receiver of the flowers was very impressed by the quality and service. I was very impressed with the service. Somebody from the shop rang my friend to ask what time of building it was i.e. business or residential and then wished my friend a very happy birthday. The flowers were delivered in birthday wrapping complete with a birthday card containing my message, and said flowers according to my friend were beautiful. Will definitely use again.